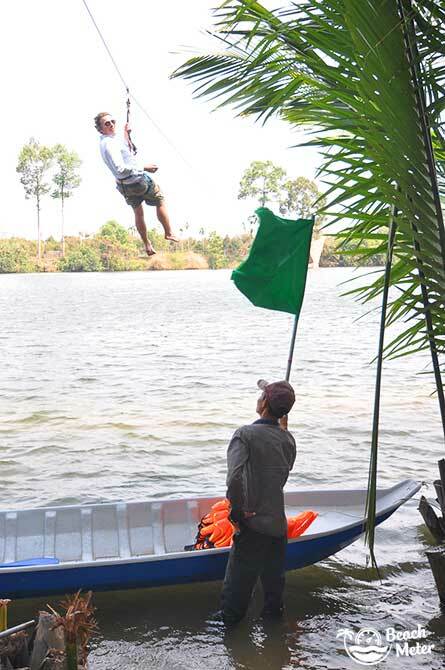 We met up with French native Alexis to try his all new zipline adventure on the Kampot River in Cambodia. 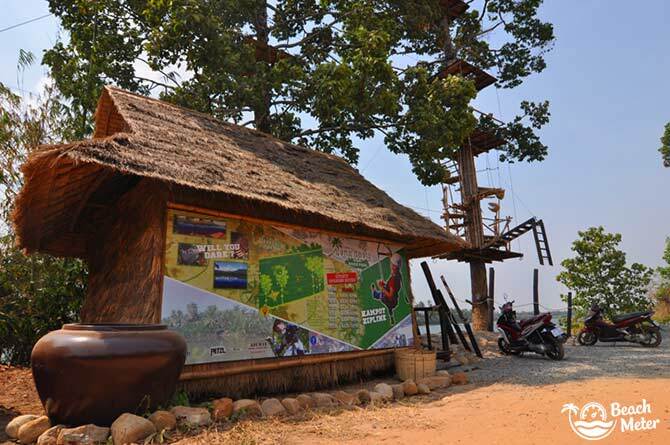 Kampot Zipline River Park officially opened on the 16th of March 2016, and contrary to what you may think, this action-packed experience receives most of its customers among Cambodian thrill-seekers. 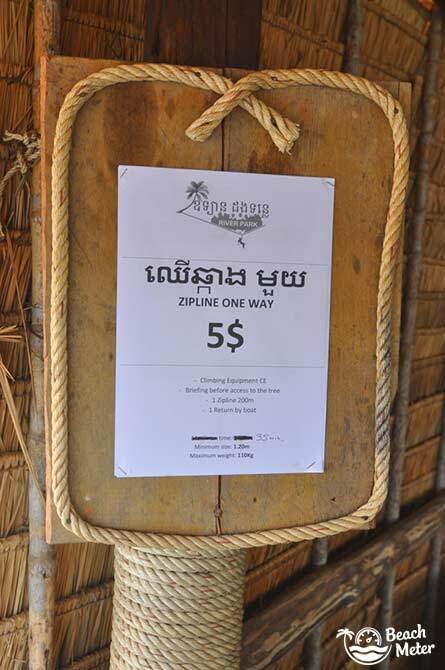 So far, 80 percent of the customers have been Cambodians, while the remains 20 percent have been expats living in Cambodia and foreign travelers visiting Kampot. 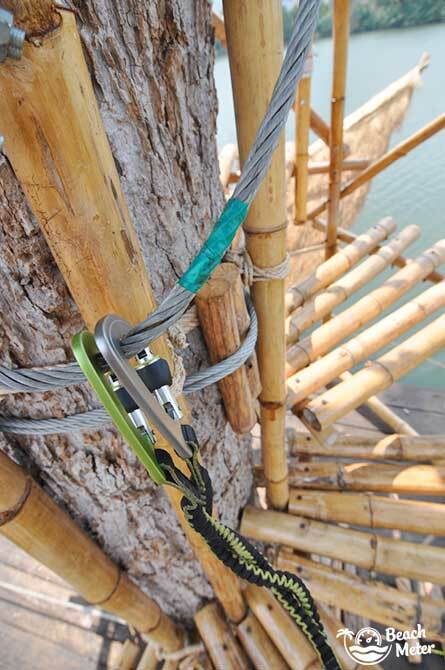 As Alexis says, the River Park gives Cambodians a unique opportunity to try out ziplining in a fun and safe environment while not having to empty their pockets. 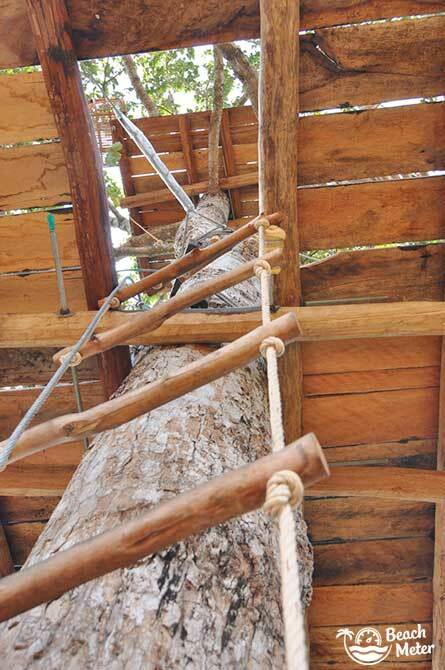 The experience currently costs only 5 USD and includes safety equipment and instructions, an exciting walk up the spiralling bamboo stairway to the zipline platform at the top of a tall tree, ziplining over the Kampot river, and a pleasant rowing trip back across the river. 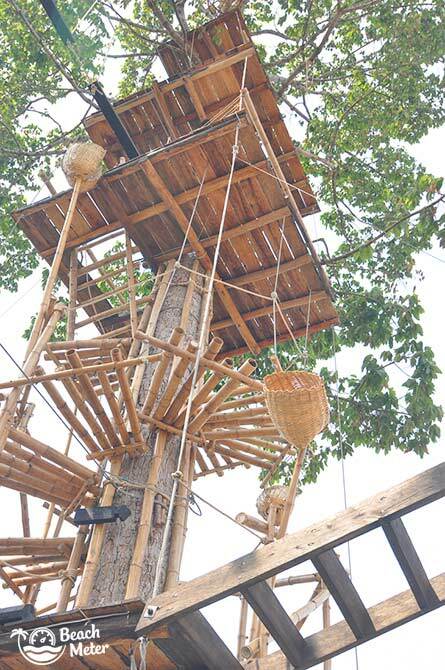 Your zipline adventure begins here! Take a deep breath, and go! Alexis worked on the project for 6 months before the grand opening. He has constructed the setup himself to ensure that every single step in the experience is smooth and secure, and every morning he conducts safety checks. 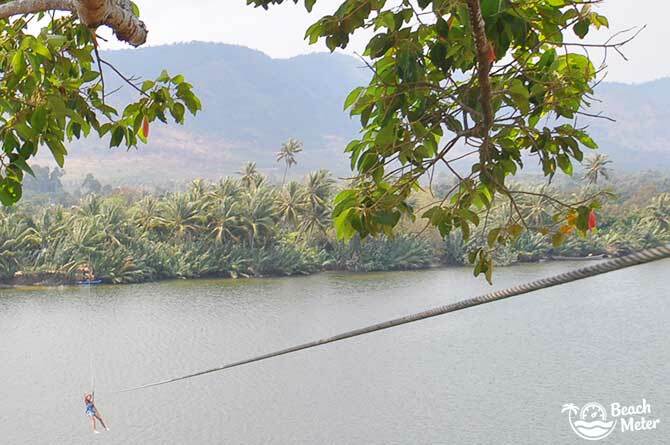 Kampot Zipline has received local publicity through newspapers, TV, and a good dose of social media sharing by Cambodians who are eager to share their exhilarating adventure over the Kampot River. 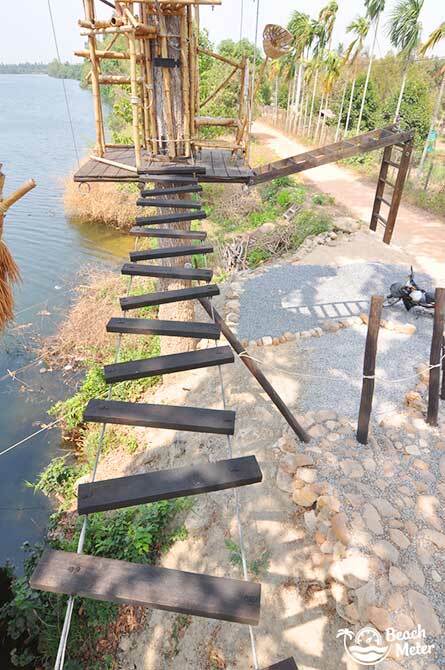 The plan is to expand the experience with a return zipline journey along with new fun trials on the riverside. 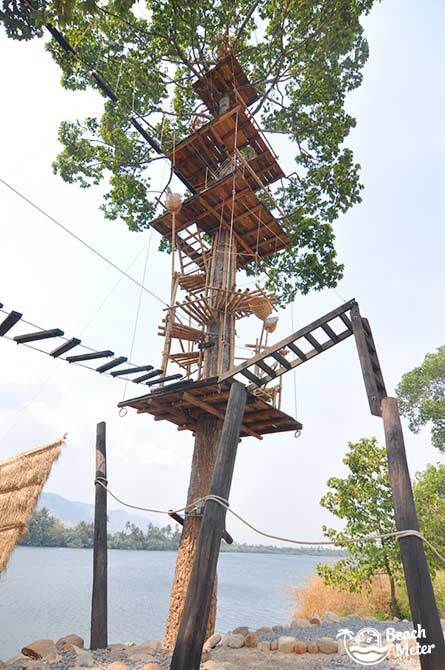 If you are in the Kampot area in southern Cambodia, don’t miss your chance to try out this new and exciting experience at the River Park. 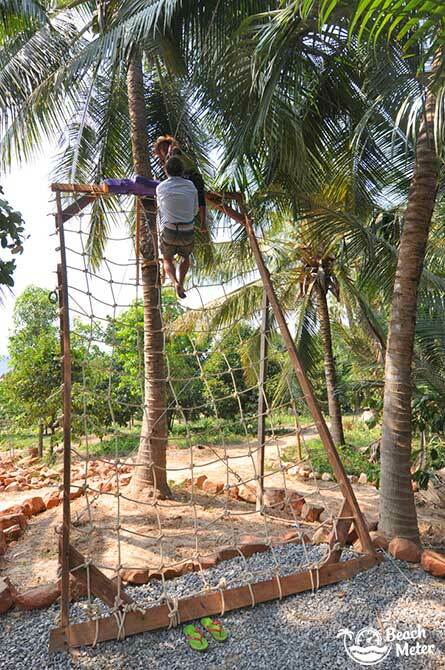 Since the Kampot Zipline adventure requires a bit of climbing and balancing it is advised only for persons in a good physical condition. 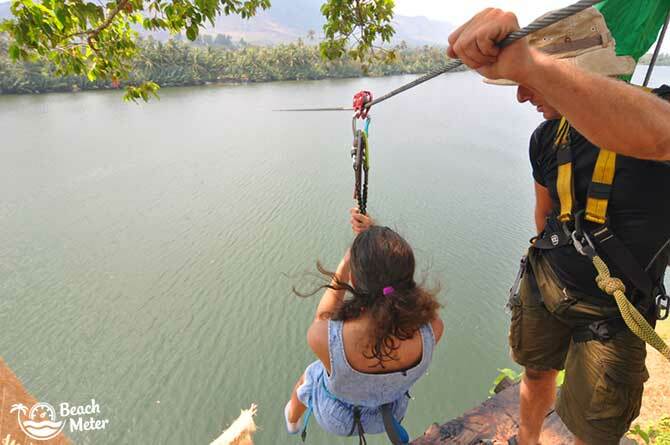 The experience will not boost your adrenaline level to a maximum like a bungyjump, but you will challenge yourself if you have a mild fear of heights. 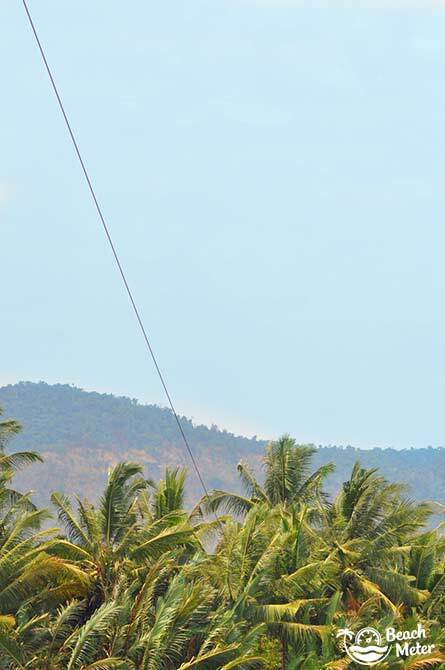 The minimum height of participants is 120 cm, while the zipline is suitable for people weighing up to 110 kg. Do note that the more you weigh, the more speed you will gain on the journey over the river, and the closer your feet will be to reaching the river water. If you like more information, images, and videos from this zipline adventure, check out their facebook page. Many thanks for this awsome post & pictures. Thanks Alexis. You are very welcome to share it. I hope we will have the chance try out your new adventures, once they are built. if i have plan to visit there and i want to booking first with u. Can or can not? And one more i see price you set 5$ it mean include all equipment or not. Hi Mora. You can book directly with River Park. 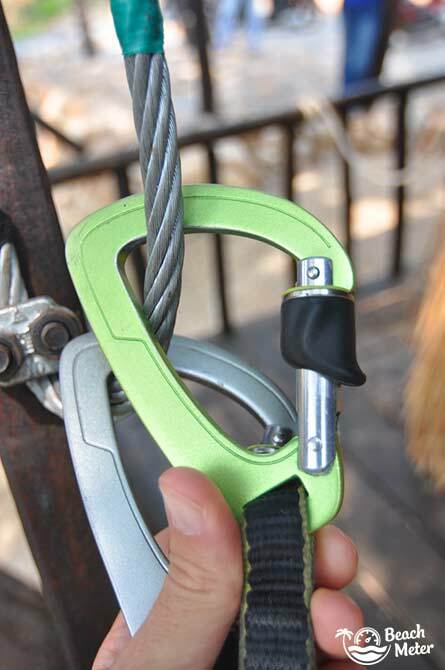 At the time of writing harness and helmet was included in the price, but you better check the details with the company first. 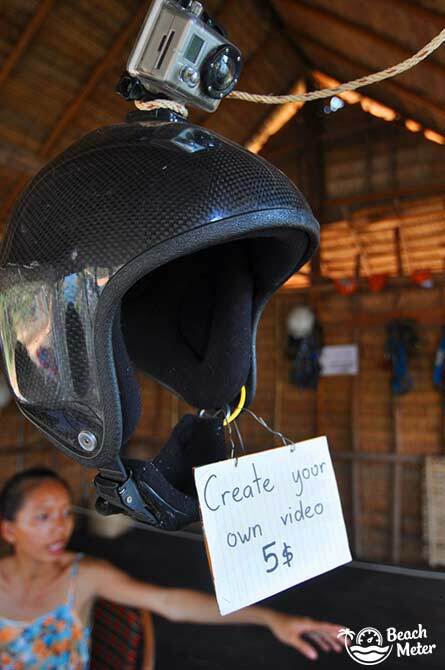 You can pay additionally to mount a gopro on your helmet, so you get footage.